• What is the projected value of global FinFET technology market by 2023 along with the estimated CAGR? • What are the major driving and restraining factors of the global FinFET technology market? • Who are the key foundry and fabless players operating in the global FinFET technology market? • Which are the foundry companies supplying chips to fabless companies? • What is the competitive strength of the key leading players in the global FinFET technology market? • What is the relationship between products, applications, and client considering foundry and fabless players? • Which technology node (7nm, 10nm, 14nm, 16nm, and 20/22nm) of the global FinFET technology market is expected to dominate in the coming years? • Why 14nm technology node is widely adopted, and which technology node is expected to grow at the fastest rate in the forecast period? • Which end user is expected to dominate the global FinFET technology market by 2023? 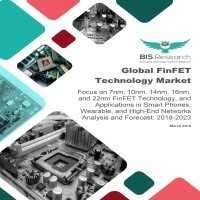 • Which region is expected to lead the global FinFET technology market by 2023?